Dan arrived and was welcomed in a traditional Indian way - A garland was placed around his neck and a Vermilion dot was put on his forehead. 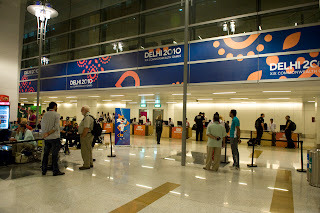 On arrival in Delhi, Commonwealth Team Members are escorted through special lines and welcomed in a lounge. Dan was picked up by a driver and escorted by a guard(s) to the hotel where a lot of the media are staying. He said security was very tight and everything was checked before anyone was allowed to enter the hotel. Even cars were screened. This is the airport in Delhi. They are 9.5 hours ahead of Toronto time. I spoke to him on gmail chat and then he was off to bed - it was 1:00 in the morning there. 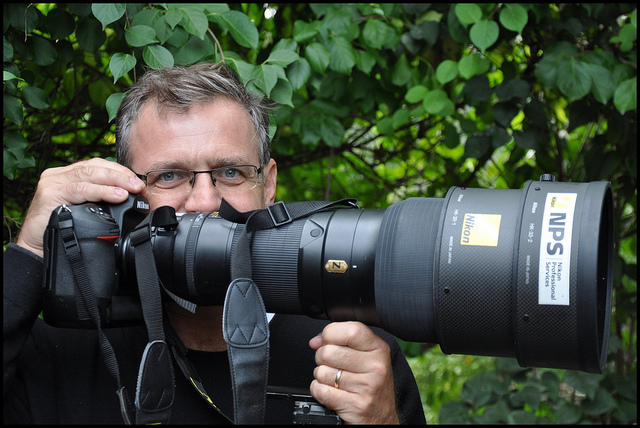 My husband, Dan, leaves Monday to photograph the Commonwealth Games in India. He is the official photographer for the Canada Team and will also be submitting photos daily to the Canadian Press. I am going to follow Dan’s experiences while he is there – his experiences – the excitement, the energy of the athletes, the truth. I know he will be busy running around to the different events, organizing and submitting his photos, but we will keep in contact as much as we can. I wish I was going with him...yummmm Indian Food, colourful culture...so exciting! There has been a lot of negative media surrounding the arrival of the athletes and the conditions, but Dan is really looking forward to the experience and taking pictures that will reflect the talent and dedication of our Canadian Athletes and hopefully a glimpse of life in Delhi. He is not delayed as of yet!